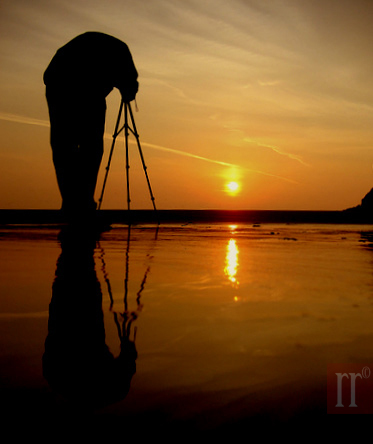 The Tripod,Reflection and the Sunrise. Reflection of my friend Richard trying to capture the sunrise. Tynemouth, Newcastle upon Tyne.